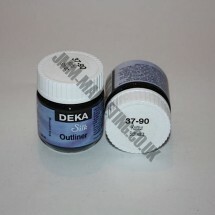 Deka Outliner Gutta 45ml	There are 8 products. 1 * Deka Outliner Gutta 45ml - Black. To be used in outliner bottles to draw designs. 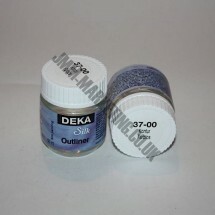 1 * Deka Outliner Gutta 45ml - Clear. To be used in outliner bottles to draw designs. 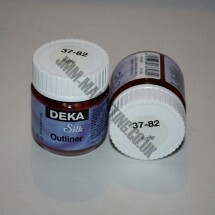 1 * Deka Outliner Gutta 45ml - Copper. To be used in outliner bottles to draw designs. 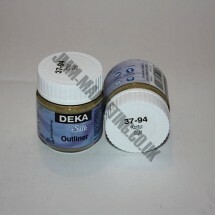 1 * Deka Outliner Gutta 45ml - Gold. To be used in outliner bottles to draw designs. 1 * Deka Outliner Gutta 45ml - Pink. To be used in outliner bottles to draw designs. 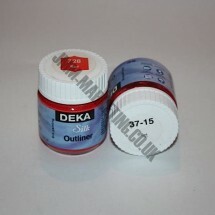 1 * Deka Outliner Gutta 45ml - Red. To be used in outliner bottles to draw designs. 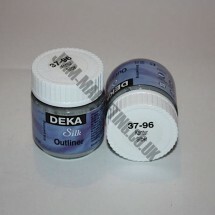 1 * Deka Outliner Gutta 45ml - Silver. To be used in outliner bottles to draw designs. 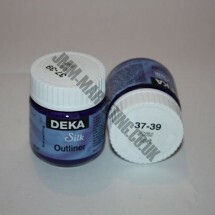 1 * Deka Outliner Gutta 45ml - Violet. To be used in outliner bottles to draw designs.